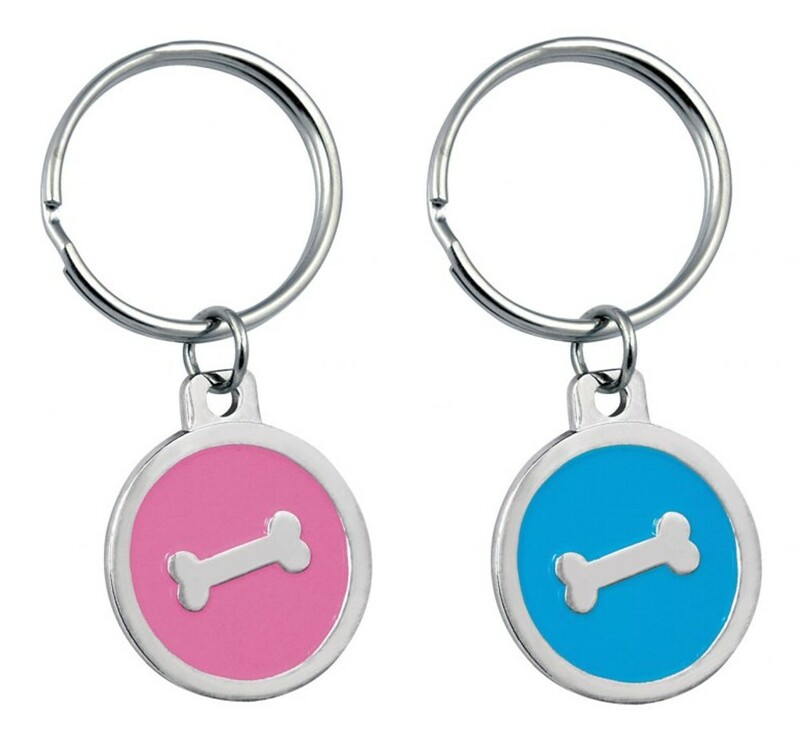 Personalised and Engraved Dog Bone Pet Tag. Available in 2 colours, Pink and Blue. This great chrome plated tag measures 32mm diameter. All your text will be engraved on the reverse of the tag. The reverse of the tag is silver in colour and supplied in a gift pouch.